The insanely powerful weapon from the Doom series, the BFG 9000, is in Bethesda’s upcoming open world shooter Rage 2. IGN showed off the gun during a brand new 11 minute gameplay clip, showcasing id Software and Avalanche Studios’ upcoming title. It appears around the 9:00 mark. Vehicular combat, open world encounters, a boss fight with Digg and Dugg (subtle classic Namco reference, maybe? ), and footage of the Grav-Dart Launcher are in the video, as well. More information will be coming throughout the month before the game’s release on May 14, 2019. It looks like Bethesda isn’t afraid to get weird with this game as earlier this month—fittingly on April Fools’ Day—it announced Tim Kitzrow is delivering the boom-shaka-laka to the game with his iconic voice; he’s known for his work on NBA Jam, NFL Blitz, NHL Hitz, and MLB Slugfest. Kitzrow’s work will be bringing the heat as a pre-order bonus. Despite being leaked by Walmart Canada, Rage 2 was a surprise announcement from Bethesda last year. Based on an older franchise from the publisher, the promise of this game is a combination of id Software’s compelling gunplay mechanics and Avalanche Studios’ experience with open-world games and crazy explosions. Will these studios live up to their fans’ expectations? Well, Bethesda has promised that it will be a “true open-world FPS experience where you can go anywhere, shoot anything, and explode everything.” We’ll see! The first Rage, developed solely by id Software, had a fairly positive reception when it came out in 2011 with an 81 Metacritic score. It was praised for its behavioral AI and gorgeous graphics, and it starred Hollywood talent like John Goodman and Claudia Black. 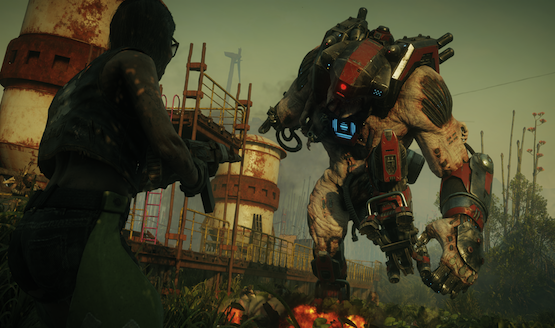 Will Rage 2 manage to hold up to its predecessor? What do you think of the original game? Is having Doom’s BFG 9000 include a reason to buy Rage 2? Let us know!